Good morning, Everyone! Hope you're enjoying your weekend. As I have mentioned in my previous post, a good-fitting pair of white jeans is not always easy to find. So when I do, I pretty much tend to wear them non stop:) I love the way this particular pair fits! They are not too tight or too baggy, and have just the right amount of stretch to maintain the shape throughout the day. And of course you know how I feel about special details... And this pair certainly has enough of those special details to spare! 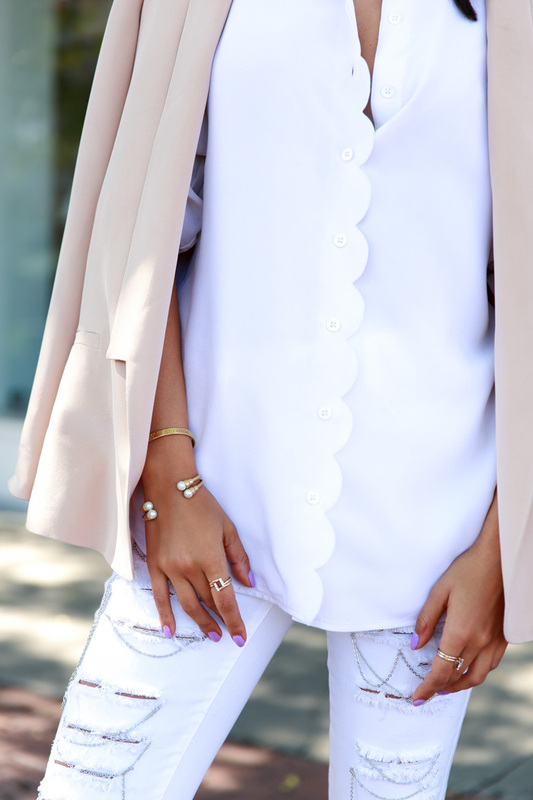 Basically, if I had to imagine my perfect pair of white jeans, this would be it! :) So, I hope you won't get tired of seeing them because I have a feeling they are going to be making quite a few appearances on this blog! 0 Response to "SUMMER WHITES"